For over 40 years, Aardman has entertained and charmed the world, creating memorable stories and timeless animated characters that have gone on to become household names – including Wallace and Gromit, Shaun the Sheep and Morph. But how did two teenagers experimenting with animation on an old kitchen table go on to create a world-class studio that conquered Hollywood? 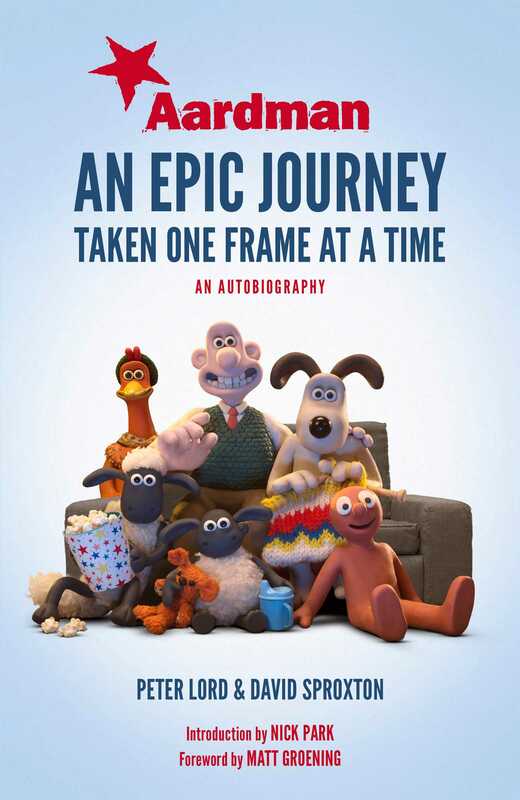 This is an intimate, revealing and funny behind-the-scenes story of Aardman, told in their own words by co-founders Peter Lord and David Sproxton and featuring Nick Park. The colourful account follows Peter and David’s extraordinary journey from their humble beginnings as penniless students, teaching themselves the craft of animation, and recounts the key moments that defined their careers and shaped Aardman into the British success story it is today. KEY MOMENTS THAT SHAPED AARDMAN – their first professional commissions, developing iconic TV commercials, creating the most-played music video of all time and delivering a pitch to Hollywood legend Steven Spielberg. HOLLYWOOD GLAMOUR – What’s it like to work with big stars like Mel Gibson, Hugh Grant and Eddie Redmayne, and what goes on behind the scenes at the Oscars®? HIGHS AND LOWS – Winning awards and recognition worldwide for their work, and dealing with the heartbreak of shutting down a production. INSIGHTS into how two men who freely admit they are not at all business-minded managed to build a multi-million pound business. CONTRIBUTIONS from Eddie Redmayne, Timothy Spall, Tom Hiddleston and Hugh Grant. Foreword by Matt Groening.